Former Ubisoft – RedLynx Studio veterans, Second Order have announced that they will be bringing their physics-based puzzle adventure game to the Nintendo Switch. Claybook allows you to create and moldable landscapes that you can share with your friends and challenges to get the old grey matter functioning. Claybook will be releasing on Switch sometime in March for $14.99. We have a trailer and official press release for Claybook below. HELSINKI, FINLAND (FEBRUARY 6, 2019) – Independent game studio Second Order — founded by former Ubisoft – RedLynx Studio veterans — today announced that their colorful clay physics-based puzzle adventure Claybook is coming this March to Nintendo Switch! 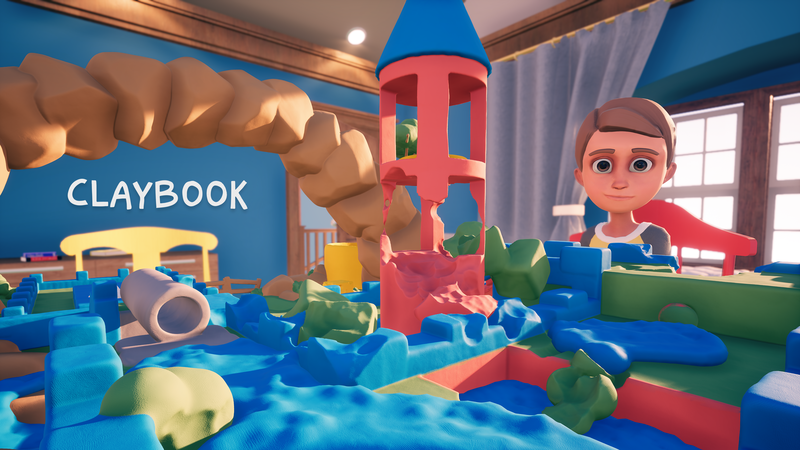 Utilizing custom “Clayfield” technology that creates true-to-life volumetric clay visuals and physics, Claybook challenges players’ to solve brain-bending puzzles, create and share moldable landscapes, and uncover the squishy possibilities of this limitless clayground. Claybook will be available for Nintendo Switch this March. The game is currently available for Windows PC through Steam, PlayStation 4, and Xbox One for $14.99 and features full cross-platform access to community-generated chapters.